Certain frames are made with highly flexible metal alloys, which reduce the possibility of breakage. Spring hinges are also good choices for added durability and are a great option for children's eyewear. 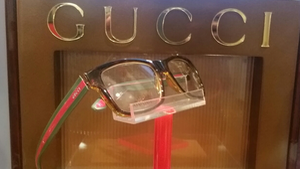 Eyeglasses have also become quite popular as fashion accessories. 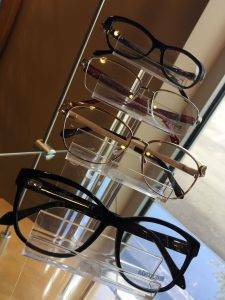 Many people change their frames to match their wardrobes.Your appearance, personal taste and lifestyle should all be considered when choosing eyeglasses. Multi-colored inlays, composite materials, designer emblems, and enhancements such as insets of precious stones are commonly found in popular frame styles. Aspheric lenses have a slimmer, more attractive profile than other lenses. They also eliminate that magnified, “bug-eye” look caused by some prescriptions. 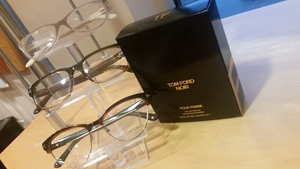 High index lenses are made of new materials that enable the lenses to be noticeably thinner and lighter than regular plastic lenses. Wavefront technology lenses are custom fabricated based on precise measurements of the way light travels through your eye, allowing for excellent clarity. Photochromic lenses are sun-sensitive lenses that quickly darken in bright conditions and quickly return to a clear state in ordinary indoor lighting. Bifocals. Lenses with two powers – one for distance and one for near – separated by a visible line. Trifocals. Lenses with three powers for seeing at varying distances – near, intermediate and far – separated by two visible lines. Progressive lenses. These lenses have many advantages over bifocals and trifocals because they allow the wearer to focus at many different distances, not just two or three. Because they have no lines, progressive lenses allow a smooth, comfortable transition from one distance to another. Variable focus lenses. 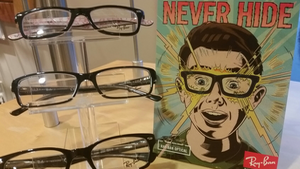 These innovative new multifocal lenses offer a larger field of view than conventional bifocals, trifocals and progressive lenses and can easily be adjusted to give you the power you need for any task. 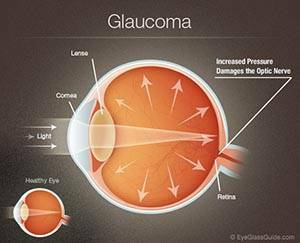 If you see well in the distance without the need for eyeglasses, then simple reading glasses with single vision lenses may be all you need to deal with near vision problems caused by presbyopia.